Team work - what is your management style? more motivating than a ‘yell and tell’ approach. which is far easier and quicker if you just do it. around rewiring your thinking but it’ll be worth it. Trust me. things out, can enhance a person’s feelings of control. looked at the impact a developmental style of coaching could have on performance. the sharing of lessons and knowledge. 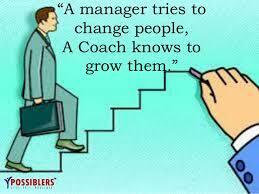 even stronger link between managerial coaching and team level performance. Despite West Point Military Academy’s rigorous selection process, one in five students drop out by graduation day. A sizeable number leave the summer before freshman year, when cadets go through a rigorous program called “Beast.” Beast consists of extreme physical, mental, and social challenges that are designed to test candidates’ perseverance. University of Pennsylvania psychologist Angela Duckworth conducted a study in which she sought to determine which cadets would make it through the Beast program. The rigorous interviews and testing that cadets went through to get into West Point in the first place told Angela that IQ and talent weren’t the deciding factors. So, Angela developed her own test to determine which cadets had the mental strength to conquer the Beast. She called it the “Grit Scale,” and it was a highly accurate predictor of cadet success. The Grit Scale measures mental strength, which is that unique combination of passion, tenacity, and stamina that enables you to stick with your goals until they become a reality. To increase your mental strength, you simply need to change your outlook. When hard times hit, people with mental strength suffer just as much as everyone else. The difference is that they understand that life’s challenging moments offer valuable lessons. In the end, it’s these tough lessons that build the strength you need to succeed. Developing mental strength is all about habitually doing the things that no one else is willing to do. If you aren’t doing the following things on a regular basis, you should be, for these are the habits that mentally strong people rely on. 1. You have to fight when you already feel defeated. A reporter once asked Muhammad Ali how many sit-ups he does every day. He responded, “I don’t count my sit-ups, I only start counting when it starts hurting, when I feel pain, cause that’s when it really matters.” The same applies to success in the workplace. You always have two choices when things begin to get tough: you can either overcome an obstacle and grow in the process or let it beat you. Humans are creatures of habit. If you quit when things get tough, it gets that much easier to quit the next time. On the other hand, if you force yourself to push through a challenge, the strength begins to grow in you. 2. You have to delay gratification. There was a famous Stanford experiment in which an administrator left a child in a room with a marshmallow for 15 minutes. Before leaving, the experimenter told the child that she was welcome to eat it, but if she waited until he returned without eating it, she would get a second marshmallow. The children that were able to wait until the experimenter returned experienced better outcomes in life, including higher SAT scores, greater career success, and even lower body mass indexes. The point is that delay of gratification and patience are essential to success. People with mental strength know that results only materialize when you put in the time and forego instant gratification. 3. You have to make mistakes, look like an idiot, and try again—without even flinching. In a recent study at the College of William and Mary, researchers interviewed over 800 entrepreneurs and found that the most successful among them tend to have two critical things in common: they’re terrible at imagining failure and they tend not to care what other people think of them. In other words, the most successful entrepreneurs put no time or energy into stressing about their failures as they see failure as a small and necessary step in the process of reaching their goals. 4. You have to keep your emotions in check. Negative emotions challenge your mental strength every step of the way. While it’s impossible not to feel your emotions, it’s completely under your power to manage them effectively and to keep yourself in control of them. When you let your emotions overtake your ability to think clearly, it’s easy to lose your resolve. A bad mood can make you lash out or stray from your chosen direction just as easily as a good mood can make you overconfident and impulsive. 5. You have to make the calls you’re afraid to make. Sometimes we have to do things we don’t want to do because we know they’re for the best in the long-run: fire someone, cold-call a stranger, pull an all-nighter to get the company server back up, or scrap a project and start over. It’s easy to let the looming challenge paralyze you, but the most successful people know that in these moments, the best thing they can do is to get started right away. Every moment spent dreading the task subtracts time and energy from actually getting it done. People that learn to habitually make the tough calls stand out like flamingos in a flock of seagulls. 6. You have to trust your gut. There’s a fine line between trusting your gut and being impulsive. Trusting your gut is a matter of looking at decisions from every possible angle, and when the facts don’t present a clear alternative, you believe in your ability to make the right decision; you go with what looks and feels right. 7. You have to lead when no one else follows. It’s easy to set a direction and to believe in yourself when you have support, but the true test of strength is how well you maintain your resolve when nobody else believes in what you’re doing. People with mental strength believe in themselves no matter what, and they stay the course until they win people over to their ways of thinking. 8. You have to focus on the details even when it makes your mind numb. Nothing tests your mental strength like mind-numbing details, especially when you’re tired. The more people with mental strength are challenged, the more they dig in and welcome that challenge, and numbers and details are no exception to this. 9. You have to be kind to people who are rude to you. 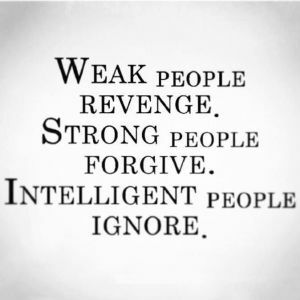 When people treat you poorly, it’s tempting to stoop to their level and return the favor. People with mental strength don’t allow others to walk all over them, but that doesn’t mean they’re rude to them, either. Instead, they treat rude and cruel people with the same kindness they extend to everyone else, because they don’t allow another person’s negativity to bring them down. 10. You have to be accountable for your actions, no matter what. People are far more likely to remember how you dealt with a problem than they are to recall how you created it in the first place. By holding yourself accountable, even when making excuses is an option, you show that you care about results more than your image or ego. Bringing It All Together Mental strength is as rare as it is important. The good news is that any of us can get stronger with a little extra focus and effort. In medium to large organisations, senior managers lead change management, but they don’t really understand that it doesn’t only affect specific departments. A boss can meet with the director of communications to discuss strategies to communicate the changes to clients, employees and partners. They will work with the project management team to create a set of deliverables that must be completed in order for the change to take place. They may also meet with the IT department, but then fail to alert all of the other employees.The biggest misconception about change management is that it doesn’t affect every single person in your company. You must make sure that all of your employees are aware about upcoming changes and are able to handle them. Another misconception about change management is that employees will easily adapt to change. Certain managers think it’s enough to hold a staff meeting to announce what is in the works, and that staff will naturally embrace and implement changes. First, if you want your team members to truly try their hardest to embrace change, you need to be upfront and explain to them why the changes are happening and how the entire process will roll out. You should explain in great detail how they will be impacted by the changes, what you hope to gain from it, and what can go wrong. You also need to provide adequate training to each person, focusing on individual strengths and weaknesses to make sure each and every party will be fully ready to jump on board when the time comes. When trying to change the status quo, it can be tempting to get it done as quickly as possible. However, believing that change will happen quickly, especially if it’s not a small change, can lead to trouble. 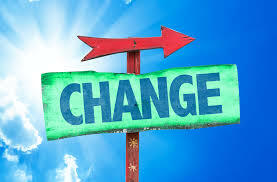 Managers need to “build an appetite for the change across the organisation and that takes time… The more prepared you are with customised communications, preliminary feedback and active champions….the smoother the path to change,” states a source. Make sure to give yourself and your employees they time they need to process and come to terms with the changes, train themselves on the what needs to be done and the time to conduct small rollouts. Too many people succumb to the mistaken belief that being likeable comes from natural, unteachable traits that belong only to a lucky few—the good looking, the fiercely social, and the incredibly talented. It’s easy to fall prey to this misconception. 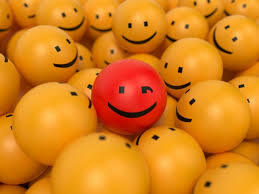 In reality, being likeable is under your control, and it’s a matter of emotional intelligence (EQ). In a study conducted at UCLA, subjects rated over 500 adjectives based on their perceived significance to likeability. The top-rated adjectives had nothing to do with being gregarious, intelligent, or attractive (innate characteristics). Instead, the top adjectives were sincerity, transparency, and capacity for understanding (another person). These adjectives, and others like them, describe people who are skilled in the social side of emotional intelligence. 1. They Ask Questions The biggest mistake people make when it comes to listening is they’re so focused on what they’re going to say next or how what the other person is saying is going to affect them that they fail to hear what’s being said. The words come through loud and clear, but the meaning is lost. A simple way to avoid this is to ask a lot of questions. People like to know you’re listening, and something as simple as a clarification question shows that not only are you listening, you also care about what they’re saying. You’ll be surprised how much respect and appreciation you gain just by asking questions. 2. They Put Away Their Phones Nothing will turn someone off to you like a mid-conversation text message or even a quick glance at your phone. When you commit to a conversation, focus all of your energy on the conversation. You will find that conversations are more enjoyable and effective when you immerse yourself in them. 3. They Are Genuine # 1/4 Being genuine and honest is essential to being likeable. No one likes a fake. People gravitate toward those who are genuine because they know they can trust them. It is difficult to like someone when you don’t know who they really are and how they really feel. Likeable people know who they are. They are confident enough to be comfortable in their own skin. By concentrating on what drives you and makes you happy as an individual, you become a much more interesting person than if you attempt to win people over by making choices that you think will make them like you. 4. They Don’t Pass Judgment If you want to be likeable you must be open-minded. Being open-minded makes you approachable and interesting to others. No one wants to have a conversation with someone who has already formed an opinion and is not willing to listen. Having an open mind is crucial in the workplace where approachability means access to new ideas and help. To eliminate preconceived notions and judgment, you need to see the world through other people’s eyes. This doesn’t require you believe what they believe or condone their behavior, it simply means you quit passing judgment long enough to truly understand what makes them tick. Only then can you let them be who they are. 5. They Don’t Seek Attention People are averse to those who are desperate for attention. You don’t need to develop a big, extroverted personality to be likeable. Simply being friendly and considerate is all you need to win people over. When you speak in a friendly, confident, and concise manner, you will notice that people are much more attentive and persuadable than if you try to show them you’re important. People catch on to your attitude quickly and are more attracted to the right attitude than what—or how many people—you know. When you’re being given attention, such as when you’re being recognized for an accomplishment, shift the focus to all the people who worked hard to help you get there. This may sound cliché, but if it’s genuine, the fact that you pay attention to others and appreciate their help will show that you’re appreciative and humble—two adjectives that are closely tied to likeability. 6. They Are Consistent Few things make you more unlikeable than when you’re all over the place. When people approach you, they like to know whom they’re dealing with and what sort of response they can expect. To be consistent you must be reliable, and you must ensure that even when your mood goes up and down it doesn’t affect how you treat other people. 7. They Use Positive Body Language Becoming cognizant of your gestures, expressions, and tone of voice (and making certain they’re positive) will draw people to you like ants to a picnic. Using an enthusiastic tone, uncrossing your arms, maintaining eye contact, and leaning towards the person who’s speaking are all forms of positive body language that high-EQ people use to draw others in. Positive body language can make all the difference in a conversation. 2/4 It’s true that howyou say something can be more important thanwhatyou say. 8. They Leave a Strong First Impression Research shows most people decide whether or not they like you within the first seven seconds of meeting you. They then spend the rest of the conversation internally justifying their initial reaction. This may sound terrifying, but by knowing this you can take advantage of it to make huge gains in your likeability. First impressions are tied intimately to positive body language. Strong posture, a firm handshake, smiling, and opening your shoulders to the person you are talking to will help ensure that your first impression is a good one. 9. They Greet People by Name Your name is an essential part of your identity, and it feels terrific when people use it. Likeable people make certain they use others’ names every time they see them. You shouldn’t use someone’s name only when you greet him. Research shows that people feel validated when the person they’re speaking with refers to them by name during a conversation. If you’re great with faces but have trouble with names, have some fun with it and make remembering people’s names a brain exercise. When you meet someone, don’t be afraid to ask her name a second time if you forget it right after you hear it. You’ll need to keep her name handy if you’re going to remember it the next time you see her. 10. They Smile People naturally (and unconsciously) mirror the body language of the person they’re talking to. If you want people to like you, smile at them during a conversation and they will unconsciously return the favor and feel good as a result. 11. They Know When To Open Up Be careful to avoid sharing personal problems and confessions too quickly, as this will get you labeled a complainer. Likeable people let the other person guide when it’s the right time for them to open up. 12. They Know Who To Touch (and They Touch Them) When you touch someone during a conversation, you release oxytocin in their brain, a neurotransmitter that makes their brain associate you with trust and a slew of other positive feelings. A simple touch on the shoulder, a hug, or a friendly handshake is all it takes to release oxytocin. Of course, you have to touch the right person in the right way to release oxytocin, as unwanted or inappropriate touching has the opposite effect. Just remember, relationships are built not just from words, but also from general feelings about each other. Touching someone appropriately is a great way to show you care. 13. They Balance Passion and Fun People gravitate toward those who are passionate. That said, it’s easy for passionate people to come across as too serious or uninterested because they tend to get absorbed in their work. Likeable people balance their passion with the ability to have fun. At work they 3/4 are serious, yet friendly. They still get things done because they are socially effective in short amounts of time and they capitalize on valuable social moments. They minimize small talk and gossip and instead focus on having meaningful interactions with their coworkers. They remember what you said to them yesterday or last week, which shows that you’re just as important to them as their work. Bringing It All Together Likeable people are invaluable and unique. They network with ease, promote harmony in the workplace, bring out the best in everyone around them, and generally seem to have the most fun. Add these skills to your repertoire and watch your likeability soar! ABOUT THE AUTHOR: Travis Bradberry, Ph.D.
CEO'S can take a proactive approach to preparing the workforce for the tremendous technology-enabled changes required to compete in the years ahead. Digital technology is having a profound effect on the human side of the enterprise, affecting where, when, and how employees get work done. The results of Deloitte’s recent Future of Work survey confirm that C-level executives view the ways in which new technologies will shape their organizations and their own roles as a topic of critical importance. Nearly two-thirds (65 percent) of those surveyed say it is a strategic objective to transform their organization’s culture with a focus on increasing connectivity, communication, and collaboration. Even as more business functions are augmented by new technology capabilities, people remain the most critical asset of an organization. Going forward, those people will be working in a more networked, distributed, mobile, collaborative, and real-time fluid manner. Such significant shifts will demand not only increased adaptability on the part of employees, but deliberate forethought from executives introducing new systems and processes to make sure the transition goes smoothly. machine in concert, is coordinated to create maximum value for the company and its employees. When approached with consideration to the impact on work and workers, digital technologies offer the opportunity to create a more engaging environment for employees and a more adaptive organization for the future. The survey offers a glimpse of what executives expect this future to look like as well as six lessons for business leaders who will usher in the technologies to enable new ways of working and also manage the changes within their own talent organizations. Pay attention to culture. More than two-thirds (69 percent) of those surveyed believe company culture will be critically important to their organization’s ability to realize its vision in the future. The larger the company, the more important this issue becomes. Just 14 percent of those who responded say that culture has no, little, or neutral impact on their ability to realize their vision and mission—and the majority of respondents were from smaller companies. most important changes respondents expect to make within the next two years. frequent shifts in their roles. of innovation C-level executives spearheading the digital transformation of work can identify the specific business benefits their organizations are targeting and regularly measure. They can then report on key indicators associated with those goals, making adjustments to strategy as required based on performance. Create context. The way we work in five years may look little like it does today. For example, 76 percent of executives surveyed predict their organizations will move away from email and toward more sophisticated 2/3 collaboration tools. Nearly three quarters (72 percent) expect a significant increase in cross-cultural virtual teaming technologies. And around 8 in 10 (78 percent) think mobile will be the dominant technology environment within five years. But new tools alone are not enough. The time that workers spend today answering email (an average of 25 percent of the day) or checking their mobile phones (around 150 times a day) is not necessarily increasing productivity. As leaders sit on the cusp of potentially more sweeping technology-enabled changes, they can take this time to develop the right cultural context for these new tools and adapt their workplace processes and policies to make the most of digital capabilities on the way. Build networks, not hierarchies. More than 40 percent of respondents expect to place more focus on facilitating the exchange of ideas, enabling the flow of conversations across the organization, and providing greater autonomy at team and individual levels going forward. This shift from a “top-down” to “side-by-side” organizational construct will be a critical component to the future of work. CEOs will play an important role, enabling an empowered network of employees capable of acting autonomously rather than waiting for direction. There are a lot of "influential thinkers" out there - Travis is the real deal! 1. They slow down to appreciate life’s little pleasures. By nature, we fall into routines. In some ways, this is a good thing. It saves precious brainpower and creates comfort. However, sometimes you get so caught up in your routine that you fail to appreciate the little things in life. Happy people know how important it is to savor the taste of their meal, revel in the amazing conversation they just had, or even just step outside to take a deep breath of fresh air. 2. They exercise. Getting your body moving for as little as 10 minutes releases GABA, a neurotransmitter that makes your brain feel soothed and keeps you in control of your impulses. Happy people schedule regular exercise and follow through on it because they know it pays huge dividends for their mood. 3. They spend money on other people. Research shows that spending money on other people makes you much happier than spending it on yourself. This is especially true of small things that demonstrate effort, such as going out of your way to buy your friend a book that you know they will like. 4. They surround themselves with the right people. Happiness spreads through people. 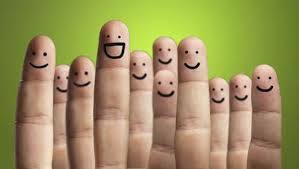 Surrounding yourself with happy people builds confidence, stimulates creativity, and it’s flat-out fun. Hanging around negative people has the opposite effect. They want people to join their pity party so that they can feel better about themselves. Think of it this way: If a person were smoking, would you sit there all afternoon inhaling the second-hand smoke? You’d distance yourself, and you should do the same with negative people. 5. They stay positive. Bad things happen to everyone, including happy people. Instead of complaining about how things could have been or should have been, happy people reflect on everything they’re grateful for. Then they find the best solution available to the problem, tackle it, and move on. Nothing fuels unhappiness quite like pessimism. The problem with a pessimistic attitude, apart from the damage it does to your mood, is that it becomes a self-fulfilling prophecy: if you expect bad things, you’re more likely to experience negative events. Pessimistic thoughts are hard to shake off until you recognize how illogical they are. Force yourself to look at the facts, and you’ll see that things are not nearly as bad as they seem. Subscribe To The Forbes Careers Newsletter Sign up here to get top career advice delivered straight to your inbox every week. 6. They get enough sleep. I’ve beaten this one to death over the years and can’t say enough about the importance of sleep to improving your mood, focus, and self-control. When you sleep, your brain literally recharges, removing toxic proteins that accumulate during the day as byproducts of normal neuronal activity. This ensures that you wake up alert and clear-headed. Your energy, attention, and memory are all reduced when you don’t get enough quality sleep. Sleep deprivation also raises stress hormone levels on its own, even without a stressor present. Happy people make sleep a priority, because it makes them feel great and they know how lousy they feel when they’re sleep deprived. 7. They have deep conversations. Happy people know that happiness and substance go hand-in-hand. They avoid gossip, small talk, and judging others. Instead they focus on meaningful interactions. They engage with other people on a deeper level, because they know that doing so feels good, builds an emotional connection, and is an interesting way to learn. 8. They help others. Taking the time to help people not only makes them happy, but it also makes you happy. Helping other people gives you a surge of oxytocin, serotonin, and dopamine, all of which create good feelings. In a Harvard study, employees who helped others were 10 times more likely to be focused at work and 40% more likely to get a promotion. The same study showed that people who consistently provided social support were the most likely to be happy during times of high stress. As long as you make certain that you aren’t overcommitting yourself, helping others is sure to have a positive influence on your mood. 9. They make an effort to be happy. No one wakes up feeling happy every day and supremely happy people are no exception. They just work at it harder than everyone else. They know how easy it is to get sucked into a routine where you don’t monitor your emotions or actively try to be happy and positive. Happy people constantly evaluate their moods and make decisions with their happiness in mind. 10. They have a growth mindset. 2/3 People’s core attitudes fall into one of two categories: a fixed mindset or a growth mindset. With a fixed mindset, you believe you are who you are and you cannot change. This creates problems when you’re challenged, because anything that appears to be more than you can handle is bound to make you feel hopeless and overwhelmed. People with a growth mindset believe that they can improve with effort. This makes them happier because they are better at handling difficulties. They also outperform those with a fixed mindset because they embrace challenges, treating them as opportunities to learn something new. Bringing It All Together Happiness can be tough to maintain, but investing in the right habits pays off. Adopting even a few of the habits from this list will make a big difference in your mood.